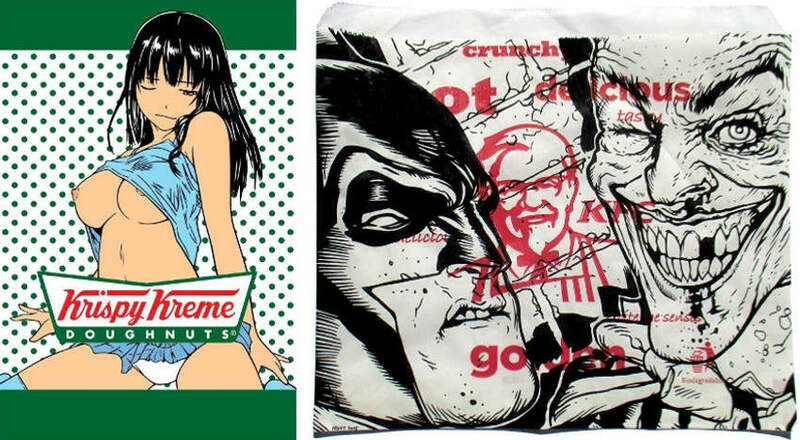 As a post-modern pop artist, Ben Frost uses all the tricks and techniques of the advertising industry. By using the symbols and icons of the media moguls and recalibrating them anew, he actually turns them against the propaganda industry. 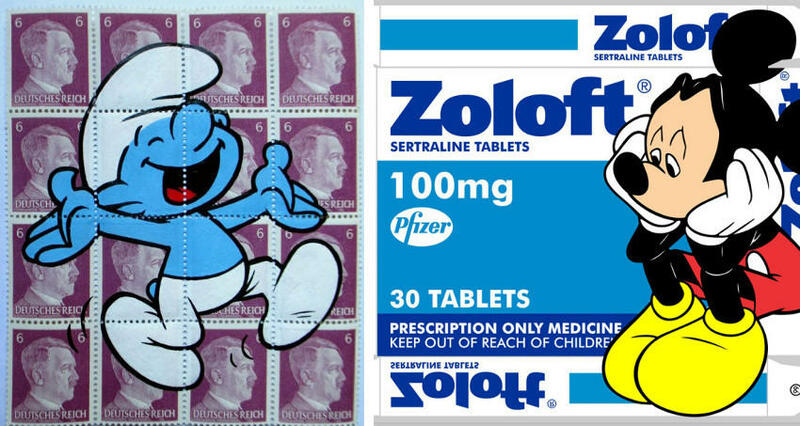 Frost’s pieces distort logos, icons and characters from popular culture as he re-makes them in startling and often confronting new ways; Disney characters, Hello Kitty, the Simpsons, Lego, Powerpuff girls and Pokémon. He subverts the iconography from the areas of politics, entertainment, and commercialism, creating a unique and bold visual language that confronts the viewers and often stirs up a lot of controversy along the way. 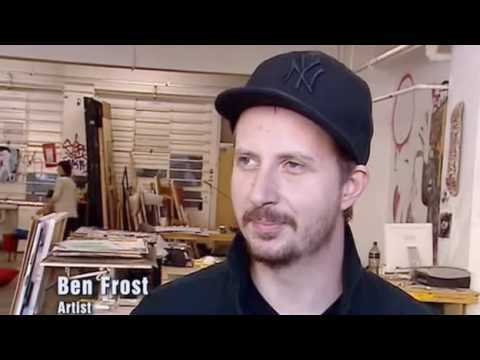 Born in Brisbane, Australia, he faked his own death in 2000 for an exhibition suitably titled Ben Frost is Dead which made national news in Australia. Invitations were created in the form of a newspaper funeral notice and distributed nation-wide. Labeled by newspapers as perverse and sick, there was a misfortune in the form of time-related coincidence, as a local art patron died on the very same day when the invitations went out. Frost’s work was featured in numerous magazines and newspapers, including Vogue, Harper’s Bazaar, FHM, and HQ. In 2003 he moved to Tokyo, where he contributed as an illustrator to magazines such as Black + White, Blue, and Men’s Style for more than 3 years. Upon his return to Sydney, he started an online store where he could sell his works and blog portal “Stupid Krap”, which continues to support and represent a number of notable Australian emerging artists including Anthony Lister, Numskull, Beastman, Kareena Zerefos, E.L.K, Mark Drew, HA-HA, Kill Pixie, and Bridge Stehli. Stupid Krap is currently located in a two-level warehouse in Annandale, which also incorporates Stupid Krap Studios – a multi-disciplinary collective consisting of ten established and emerging artists. Asked to compare cartoon characters and consumerist merchandise, Frost thinks “they are the same really. If you put big eyes and a toothless grin onto something, then it seems it will sell better. I was always very frightened of Ronald McDonald as a child.” He makes art from the things around him, and with commercialism and entertainment being so pervasive in today’s environment, it seemed like an obvious choice. He has extended his practice by starting the package painting (acrylic painting onto the surface of packages and boxes that he finds on his travels). According to Frost, he gathers the objects from different sources, either directly off the shelves of supermarkets, friends who are in the medical industry, trash cans and from people who actually use the various medicines that are inside the boxes. 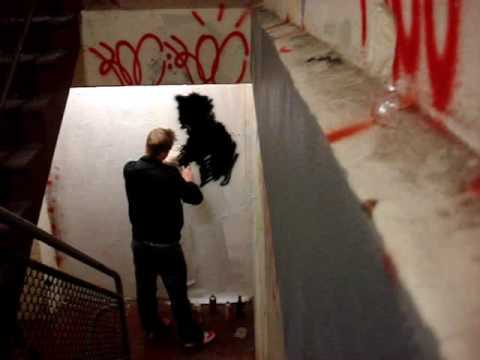 Since he began package painting by using acrylic back in 2011, “the branding and product titles seem to be more obvious in their possible double meanings. Twinkies, Hamburger Helper, Vanilla Cupcakes, Dirty Rice, Cheese Nips and Hot Tamales have all suggested new and twisted re-imaginings.” The ads can be extremely jarring and they aren’t always the most aesthetic thing to put into an artwork for visual consumption, so he spends a lot of time on the process and how different juxtapositions work together to make the most relevant and appealing results that he can. 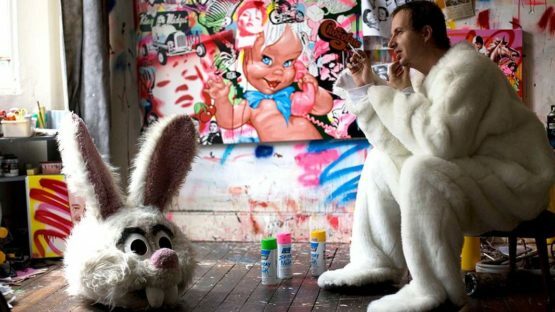 His painting White Children Playing caused a stir for its graphic depiction of children using drugs and a masked and disgruntled assailant slashed one of the paintings in his exhibition at the Institute of Modern Art in Brisbane. 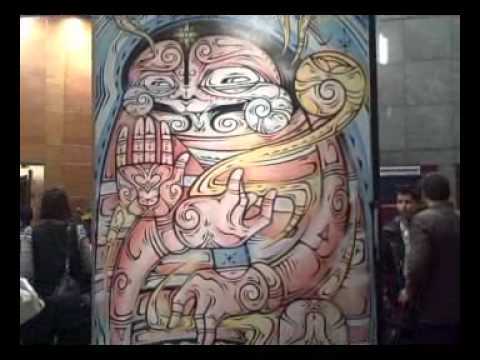 Police also tried to remove one of his collaborative artworks in an exhibition at the Museum of Contemporary Art in Sydney because of its graphic nature. He also started the yearly paste-up festival Paste-Modernism, which is the largest of its kind in the world. Essentially, Frost thinks that “art is about creating a dialogue, pushing boundaries and constantly evolving the whole medium.” Surely, negative responses happen all the time, but there are far more positive reactions from the viewers who are able to recognize the significance of his work. 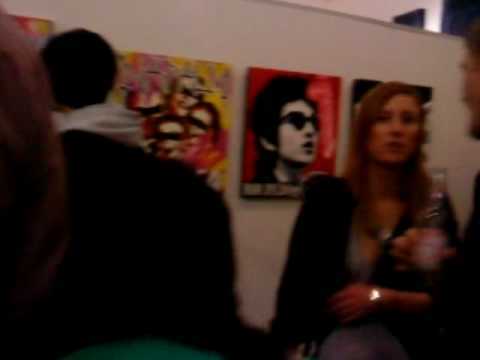 He is represented by No Walls Gallery and Vertical Gallery. Ben Frost lives and works in Sydney.